10 year old male Chihuahua dumped at a shelter is struggling to come to grips with a new life, that is as confusing, as it is sad. TOMMY is trying his hardest to have faith in a system, that has seen so many like him executed, through no fault of their own. TOMMY is a gentle, sweet soul and this senior is starting to seem more and more shut down. He is super cute and in the shelter almost a month! Please SHARE, he's SO special he needs a FOSTER or ADOPTER NOW. Thanks! 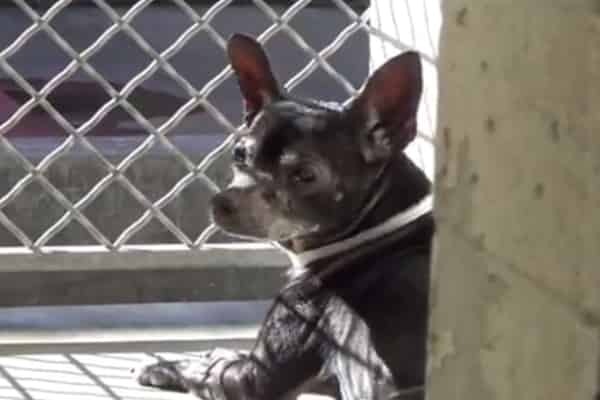 #A5112686 My name is TOMMY and I'm an approximately 10 year old male Chihuahua. I am already neutered. I will be available on 9/19. You can visit me at my temporary home at C231. My former family who owned me for had to give me up because their landlord wouldn't allow me. 0 Response to "10 year old Chihuahua Surrendered at Kill Shelter, Struggling to Make Sense of New Life"